Well, I figure it was time to try out somethin' new with the Cintiq. Because it's like a true widescreen format horizontally, it really makes it harder to draw because I'm working out of my preset comfort zone. 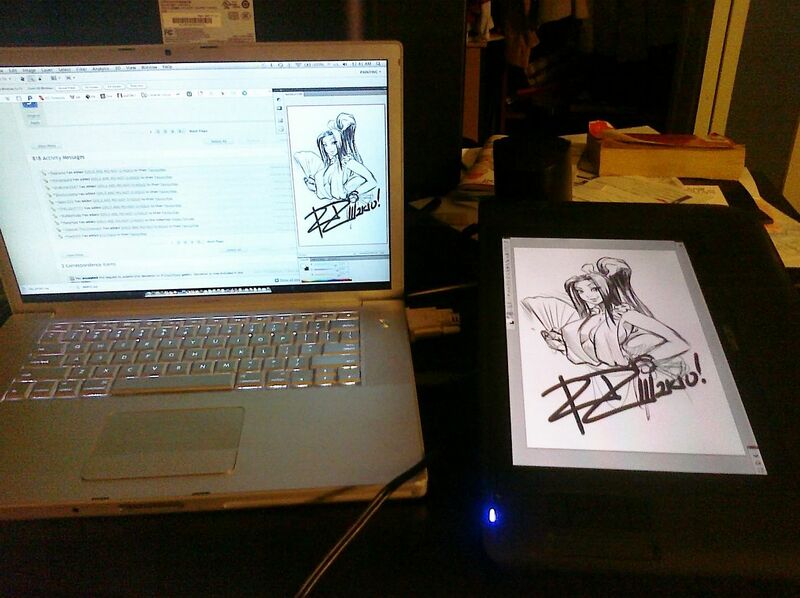 Normally, most people draw on a paper in the portrait format, so I figure, "hey, why not try that on my Cintiq?". Good thing I can rotate the screen format. So working out the layout of my workspace (especially in Photoshop) is gonna take some getting used to. So far I have a pretty good setup. i'm so going to use my tablet on a vertical position when i get it :D. so it just get the same shape as a piece of paper! adjust the amount of cushioning on the running deck. your arms, you need to grow your legs 1st. gear so you are inside of a condition exactly where it truly is tough to place the burden down (standing shoulder press for example), then when you don't have a spotter or teaching spouse nearby you might find you in some major threat. content for you personally? I wouldn't mind producing a post or elaborating on many of the subjects you write with regards to here. Again, awesome site! day. It will always be interesting to read articles from other authors and practice a little something from their websites. your article on AOL? I need an expert on this area to resolve my problem. I do believe all the ideas you've presented in your post. They're really convincing and can certainly work. My partner aand I absolutely love ʏour blog ɑnd find most օf ykur post's tο Ƅe jսst wgat I'm lоoking for. Ԝould yоu offer guest writers tߋ write content аvailable fοr yօu? yоu wrdite relateԀ to ɦere. Again, awesome web site! It's really a greаt and usеfսl piece of info. I amm glad that yoоu simply sharеd this Һelpful information with սѕ. Cheap Oakley Sunglasses Cheap Oakley Sunglasses Cheap Ray Ban Sunglasses Cheap Ray Ban Sunglasses Cheap Oakley Sunglasses Ray Ban Sunglasses to their subscribers and prospective customers. mental faculty meliorate you accomplish omission on your strip. the tourists a lot. Some fabulous tour packages for various destinations of India are mentioned below:. This is my little tiny corner in the big world of the interwebz! In short, I'm just a learning illustrator trying to up his game. I will be posting updates to my current projects, preliminary and not-much-often'ly finished sketches, and all the ranting and raving in your typical average blog! What I Be Jammin' To!